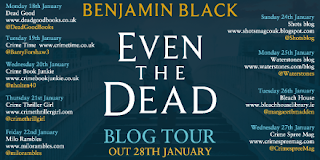 BleachHouseLibrary.ie: Blog Tour - "Even The Dead" by Benjamin Black. Author Q&A. 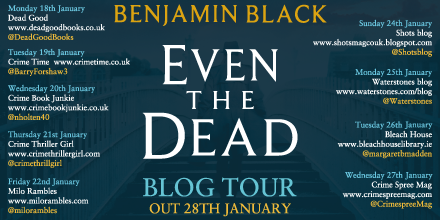 Blog Tour - "Even The Dead" by Benjamin Black. Author Q&A. 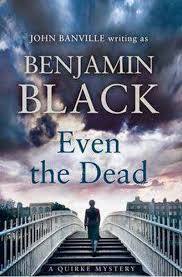 Visceral, gritty and cinematic, Even the Dead is the latest stylish thriller from John Banville's crime-writing alter ego, Benjamin Black. There is a wonderful selection of female characters within each of the Quirke novels. While some are marginalised, others are strong, independent women. Did you find it harder to build on the stronger characters, given the setting of the novels is 1950s Ireland? Yes, women were hardly visible in the Ireland of the 1950s—I mean visible in public life; in the home, they had absolute power, invested in them by the Catholic Church, which in its canny fashion always favoured the mothers. But there were some women, even in that dark time, who asserted themselves and made an independent life. I am particularly interested in Phoebe, Quirke’s daughter: my agent suggests that I’m in love with her, but I suspect that in fact Phoebe is me, in some strange fashion that I don’t quite understand. Quirke’s relationships are tentative yet vital. Phoebe, Hackett, Mal and Rose all seem to trust him and his judgments. Does he trust himself? Lord, no. Poor Quirke regards himself as a hopeless case, despite the evident fondness that people have for him, especially women. He is a damaged soul, badly in need of repair. I’m excited by the entrance on to the scene of Dr Evelyn Blake. Quirke has found himself a psychiatrist, and has fallen in love with her! I await large developments. For me, the second most important protagonist of the Benjamin Black books is Dublin itself. When you walk around the city now, do you see it through the eyes of Quirke or just take it as it is today? Yes, certainly Dublin is one of the main characters in these books. When I began to write them I discovered a deep fondness for the city that I hadn’t really been aware of before. The areas which form Quirke’s main stamping-ground—Upper Mount Street, the Pepper Canister Church, the canal—these remain largely unchanged, I’m glad to say. I used to live in Upper Mount Street many years ago, and the flat I had is the one I have given to Quirke—it’s the second floor of Number 39, if you’re interested. That street, running down from the Pepper Canister to Merrion Square and Government Buildings, is one of the loveliest thoroughfares in the world. Quirke is trying to battle his alcohol addiction yet lives in a time where drink is more than socially acceptable. Given the changing attitudes to drinking culture, was this hard to bring to life? Not at all—we still drink like fish in Ireland, even though fish, strictly speaking, do not drink at all. When I started to write about Quirke I didn’t think of him as an alcoholic, but just as a heavy drinker, and I’m not sure even yet that he is truly an alcoholic. Is he addicted to drink, or does he just use it to drown his sorrows in? The balance of power between Church and State is a well-known part of Irish history. When dealing with the times of mother and baby homes, was it easy to imagine the frustration the Gardaí (police) felt with their limited authority or is it still fresh in the minds of the Irish? I’m afraid the apparatus of the State was geared to suppress knowledge of the way in which women and girls were treated in those days. You have to understand that the country was entirely in the grip of the Church, and that to a large extent the people were, simply, brainwashed. When I first started going to Eastern Europe in the 1970s and 1980s I felt that I had come ‘home’. The historian Hugh Trevor-Roper is right in asserting that Communism and Catholicism are merely two sides of the same coin. Quirke is a man of few words, but manages to gain respect from almost everyone he encounters. 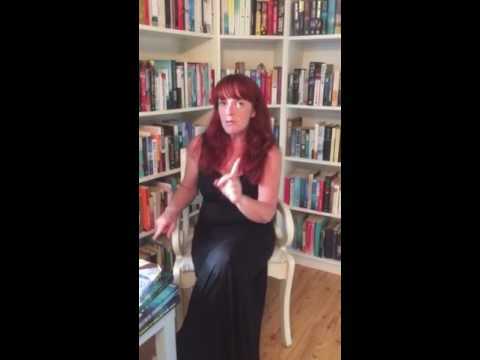 Was writing such a charismatic character a joy or a chore? Well, a little of both, as is always the case when one is writing fiction. I find him interesting, mainly because I don’t understand him. If I did know what goes on in his mind, and in his heart, I probably would find him too boring to sustain. When reading crime-noir, it is usually based in dark, rainy or foggy streets. Even The Dead is set in the middle of a heatwave, with the girls in summer dresses and sandals, while the men struggle to keep cool in their trilby hats and button-neck shirts. Did this create any obstacles with regards to atmosphere? You know, it never occurred to me that I was writing a noir mystery set in high summer! I had been thinking back to a record-breakingly hot summer in my childhood, sometime around 1955, when the sun shone for months on end and there was a serious drought. I remembered how strange life was in those months, as a people accustomed to rain and fog and cold struggled to cope with a heatwave; I think we all went a little mad. This is the seventh book in the series and Quirke seems in no hurry to retire. Can we expect more from the strong, silent pathologist? Oh yes, I’m sure there will be more. Every time I finish a Quirke book I tell myself it will be the last one, but of course I immediately start devising a new plot. As I said, I’m very interested in Evelyn Blake, and long to know if Quirke will find a little happiness with her, or if he will let a golden chance slip through his careless fingers. Benjamin Black is the crime-writing pen name of acclaimed author John Banville, who was born in Wexford, Ireland, in 1945. He is the author of fifteen novels, including The Sea, which won the 2005 Man Booker Prize. In 2013 he was awarded the Irish PEN Award for Outstanding Achievement in Irish Literature. Black has written seven novels starring Quirke, the surly but brilliant pathologist. In 2014 the Quirke novels were adapted into a major BBC TV series starring Gabriel Byrne.